Apart from running, I enjoy yoga, movies, and playing cards. I’m also a die-hard Milwaukee Brewers fan. 50/50 by Dean Karnazes, Born to Run by Christopher McDougall, the latest issue of Runner’s World. I want to be a 50-state marathon finisher and meet a lot of cool people along the way. I run for good physical and mental health, to challenge myself, to spend time with others, but mostly for the joy of it. I find it impossible to come back from a run in a bad mood. 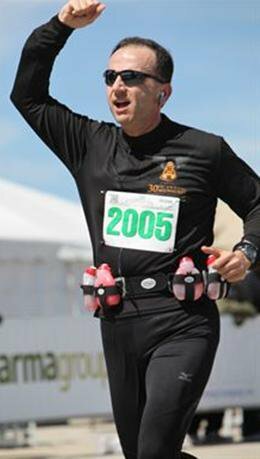 Crossing my first marathon finish line in 2010 was extremely powerful and emotional for me. It marked the beginning of a new chapter in my life. As a life event, I put it on the same level as my college graduation and my wedding day. I had a lot of help and support as I was getting started with fitness and running. I don’t think I would have succeeded without it. 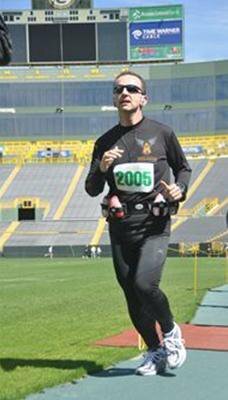 I want to pay it forward to help others realize their running goals, and pacing gives me a great way to do that. My first time pacing for someone else, I helped my friend finish her first marathon in her goal time of 5 hours. Even though I ran a much faster personal PR (3:47) just two weeks prior, I found a lot more satisfaction and joy in helping my friend reach her goal. I’m excited to do the same for others! Plan to have fun! Come armed with jokes and stories. 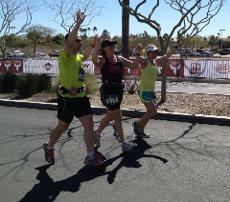 Let’s entertain and encourage each other as we work to get you to your goal finish time. Also, if you have questions or concerns, feel free to speak up. I’m here for you, and I’m happy to help you in any way I can. Enjoy your training! On days when it gets hard, remember that you are doing something that only a small percentage of people will ever do. It’s supposed to be hard! Congratulate yourself for every training run. Focus on the positive: think about what went well, not what could have gone better. On race day, it’s OK to be nervous, but trust that you are ready. Trust your training. You’ve put in months of hard work, and now it’s time to reap the rewards! I’ve lost almost 100 pounds through running. When I started running, I couldn’t run to the end of my driveway without getting out of breath. 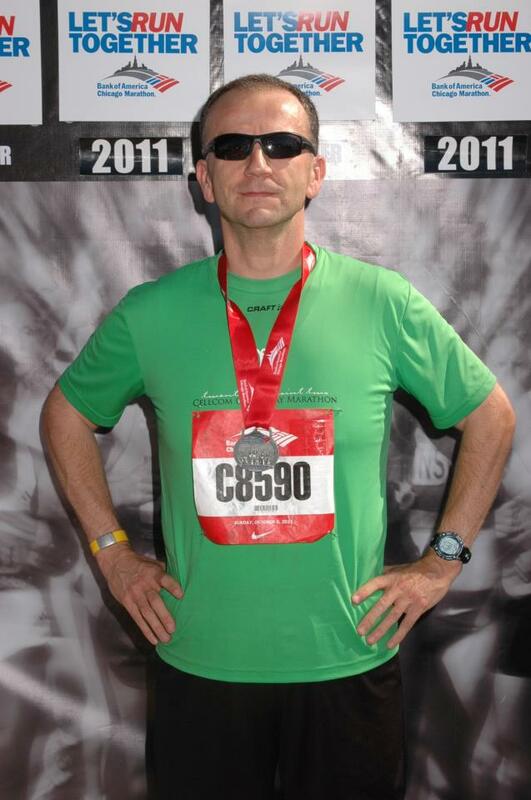 Now, I am working to be a 50-state marathon finisher. I’m here to tell you that if you put in the work, you will get the results. Anything is possible!